This after effects template project is exclusive royalty free template, and it can be purchased only at videohive / envato marketplace. – Sound is created by Symphony-of-Specters, link for AJ item: One Fine Day. I would like to customise the music and the speed a bit slower. Can I do that? is it easy enough for a beginner? do you sell it with a manual? and last, can I freely use it on my portfolio website? template contains tutorial for customization. If you want to make it slower you can create new composition with longer duration, drag and drop my final composition into your new composition. Right click at my final composition (as layer in new comp.) / time / time stretch, and adjust stretch factor. Default is 100%, lower values means that result will be slower: 50% – slower two times, 33.33% – slower 3 times. What you mean with: “I would like to customise the music…”? If you want to use other music than I used in preview, you can: import your audio file and drop it into your new composition. In tutorial I wrote to drop audio into particular prepared composition, but you don’t need to do that, because you want to change something in project, and your project will be longer, so used audio from preview will be shorten than your final video. 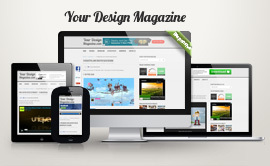 Yes, you can use it on your portfolio site – once with one licence.